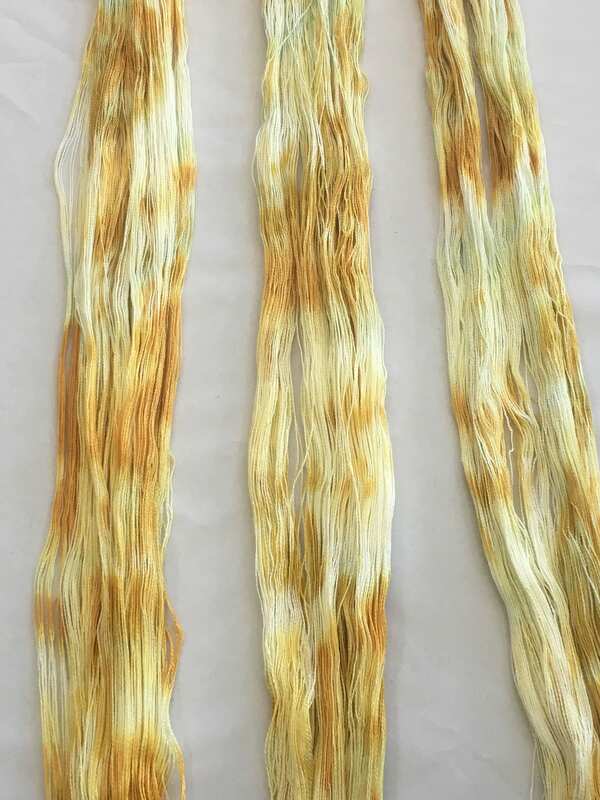 This hand-dyed warp is wound and ready to go on the loom. I dyed the warp after winding it. The colors are shades of yellow and gold. There is white, pale yellow, light yellow, small amounts of pale lemon-lime, yellow, light gold, gold, and some deep gold. 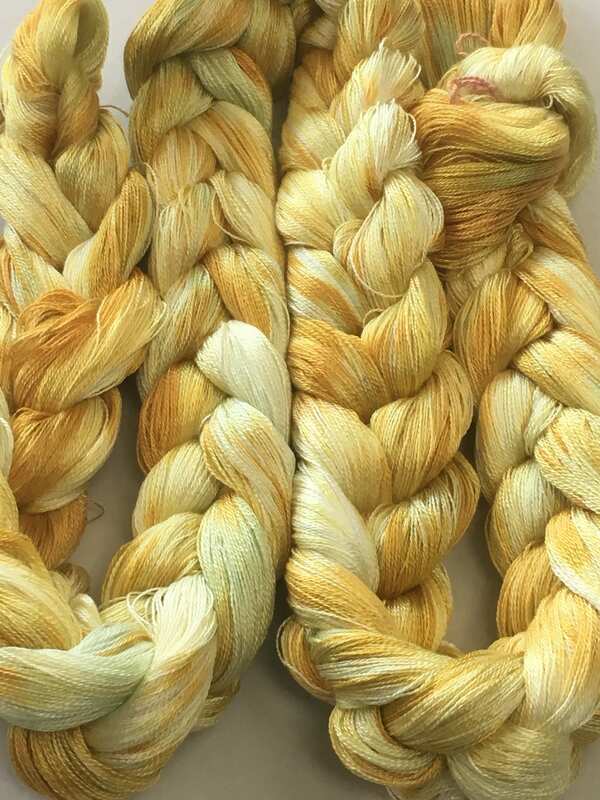 With the way that I dye my warps, the colors do not generally occur across the entire warp. You can sometimes get some of the appearance of a shifted warp without shifting. The placement of colors just happen where they will, there is no planning. Look at listing of my scarves for examples. This warp is 8/2 Tencel. 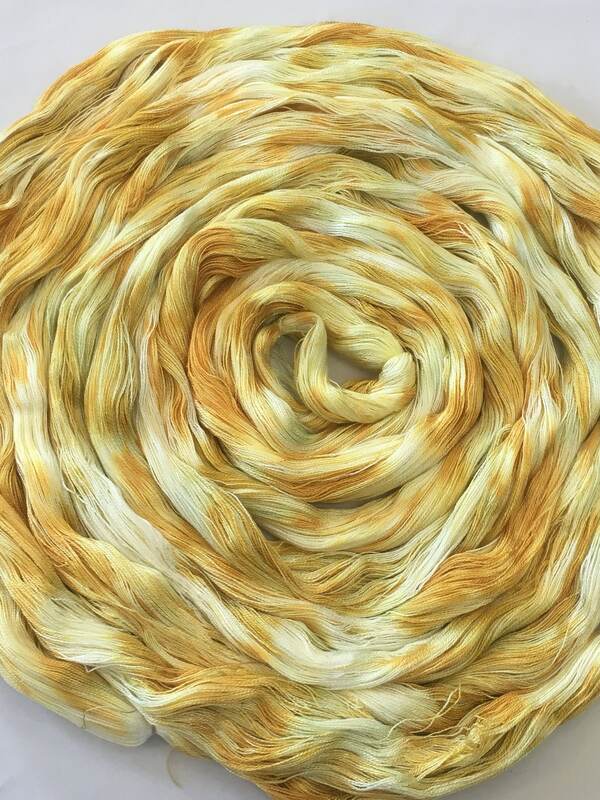 There are 400 ends and it is 8 yards long. The cross is tied and there is a choke tie near each end and a tie in the loops at each end. I try and catch all knots, but since I might have missed one, I include at least two extra warp threads. I recommend saving them for repair threads as needed. 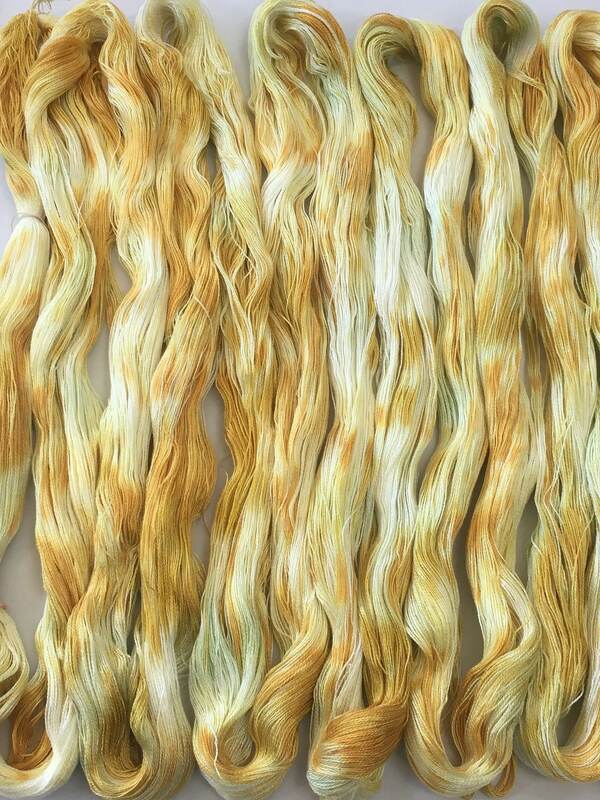 I use color-fast dyes and rinse many times. 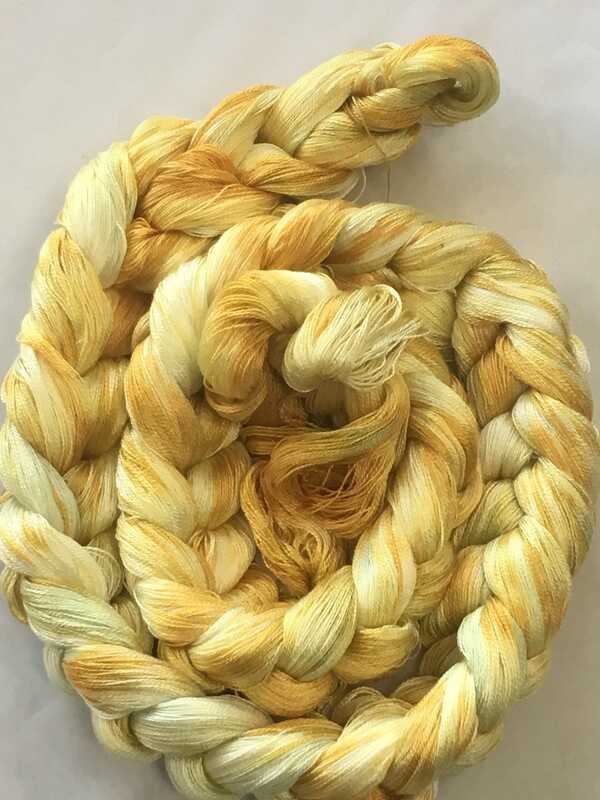 Since there could still be some excess dye, especially with dark or bright colors, I recommend using a color catcher as needed.